Produce | Online | YouTube at 60 FPS? When I use Produce | Online | YouTube - the rendering takes place to a .wmv file at 29.97 fps. Is there a way to set it to 60 fps? I have the timeline frame rate at 60 FPS (NTSC), the video is at 60 fps, and profile type: FULL HD Quality 1920x1080. I am able to use Standard 2D with quality set to MPEG-4 1920 x 1080/60p (32Mbps) (custom) and successfully create a .mp4 file at 60 fps. You'll have access to all profiles if you simply produce to a file like you've already done, and then manually upload it to YouTube. 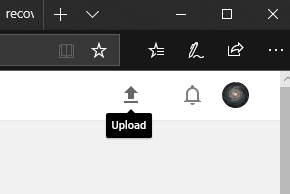 You also get the benefit of being able to see your finished work before uploading, and you can also set the comments to be anything you want.